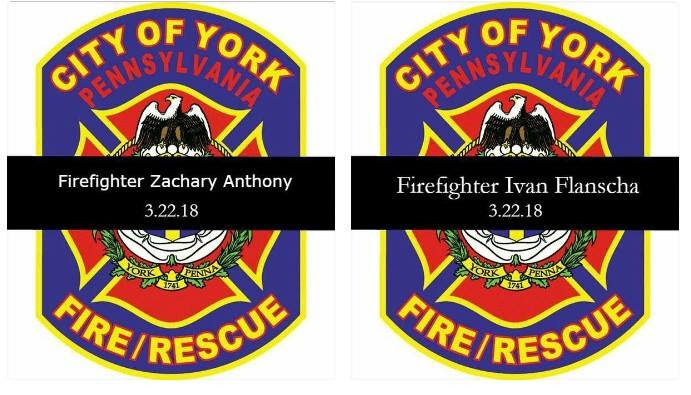 The Memorial Service for York City, PA Local 627 members Ivan Flanscha and Zachary Anthony will be streamed live beginning today (March 28) at 1:00 p.m. (EDT). All IAFF members attending the Memorial Service are invited for food and refreshments from 6:30 p.m.–12:00 midnight at the Valencia Ballroom, 142 N George St., York, PA 17401. Donations to support the families of fallen fire fighters Ivan Flanscha, Zachary Anthony and injured fire fighters Greg Altland and Erik Swanson can be made through GoFundMe at https://www.gofundme.com/york-fire-fighters-support-fund. Make checks payable to York Professional Firefighters, Local 627.